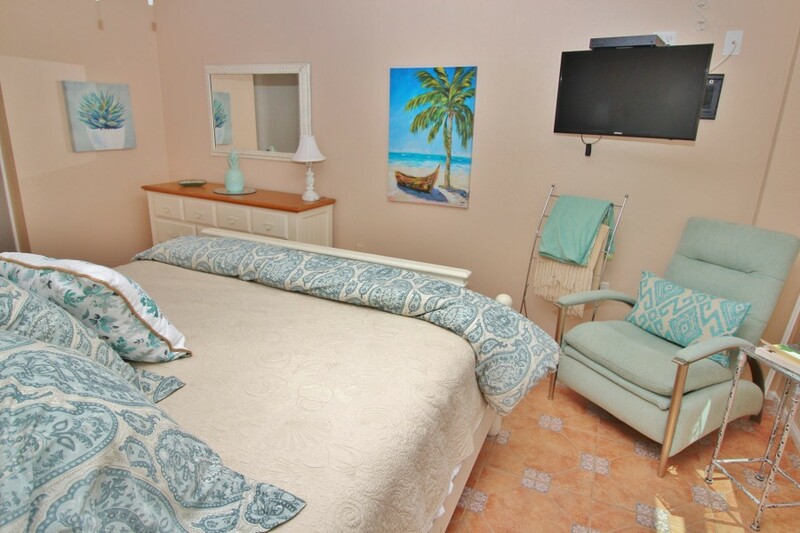 Bright, beachy décor greet you the minute you step into your pet-friendly vacation home. 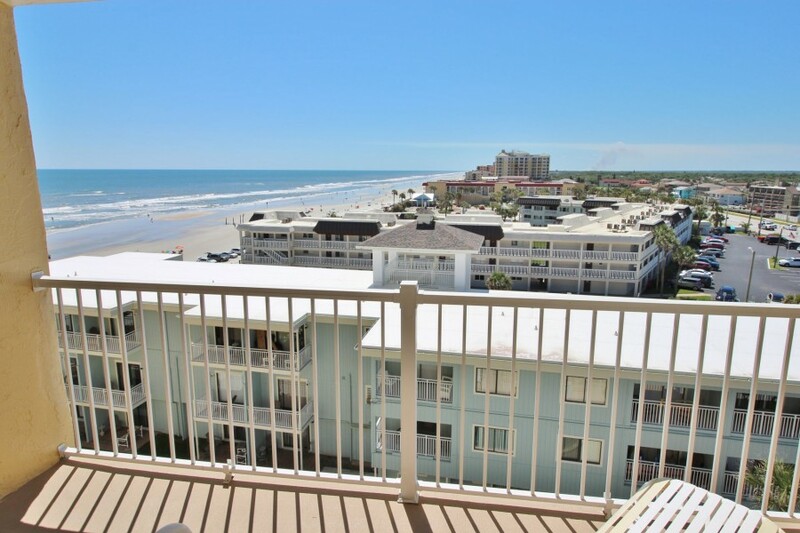 Step out to your private balcony to see miles down the beach and a bird's eye view of the pool below. 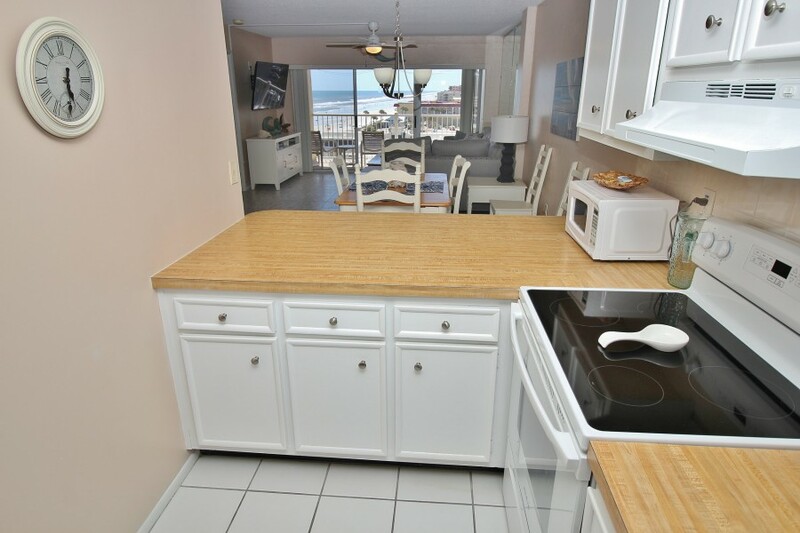 As you enter the door you can quickly put your groceries away as the kitchen is directly to the right. 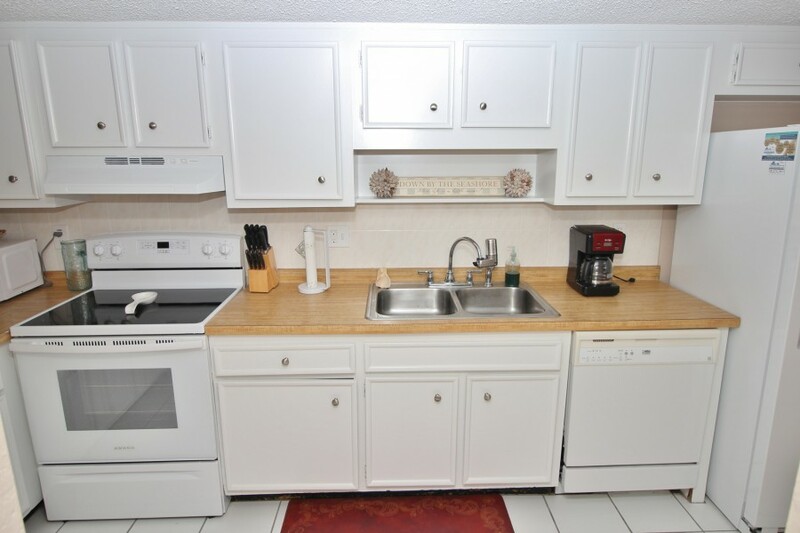 Fully equipped with clean white appliances and cabinetry, making those perfect home-cooked meals will be a breeze. 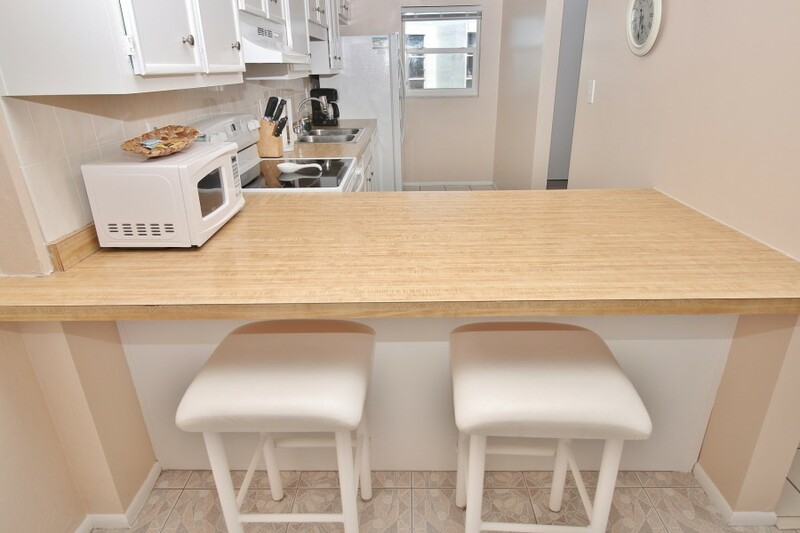 The pass-through counter doubles as a serving area or offers extra seating for two. 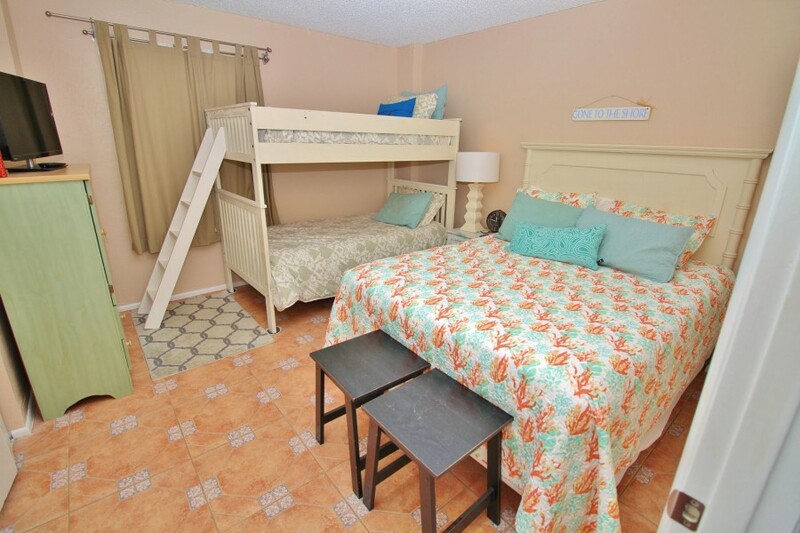 Directly adjacent to the kitchen is the dining area with a sturdy wooden table that comfortably seats six. 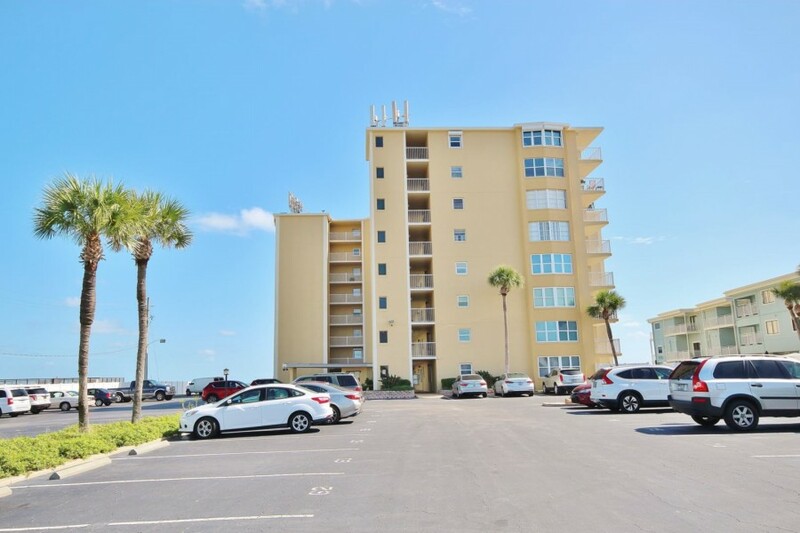 Just a few steps away is the open living space with a comfortable sectional positioned just right to enjoy views of the ocean or to catch your favorite shows on the large flat-screen TV. 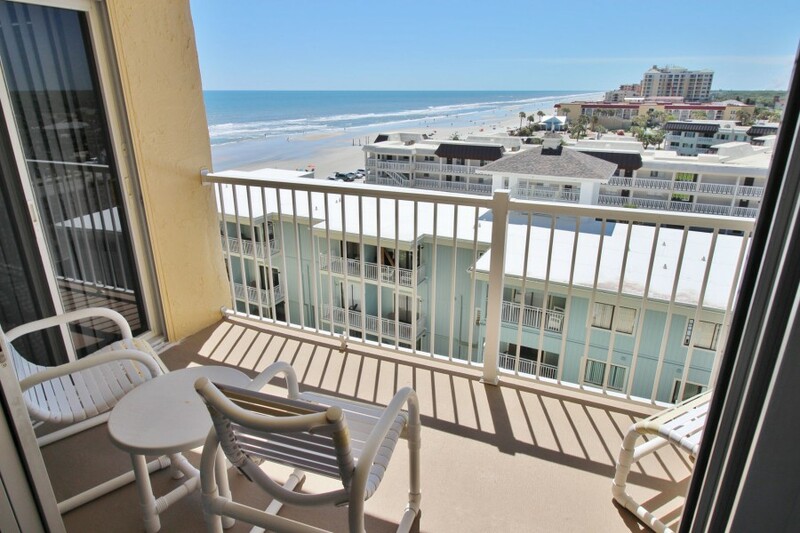 Venture through the large glass sliders to take in the ocean breeze or relax in one of the outdoor chairs to read. 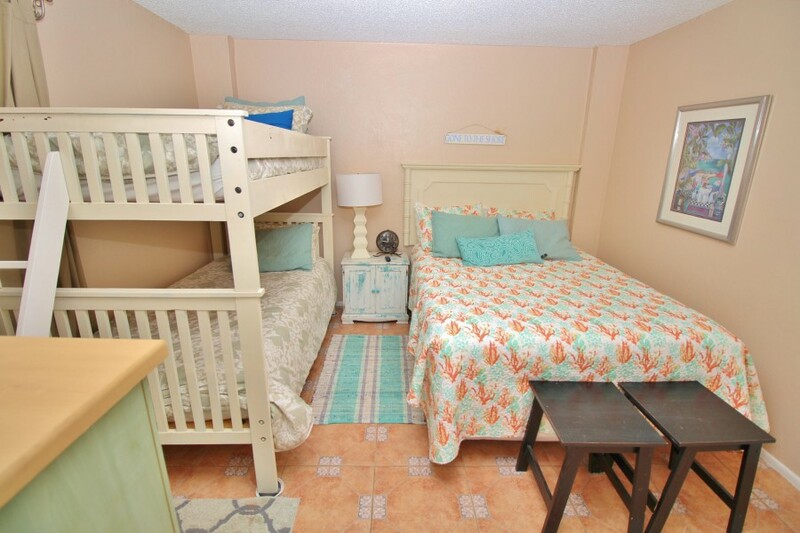 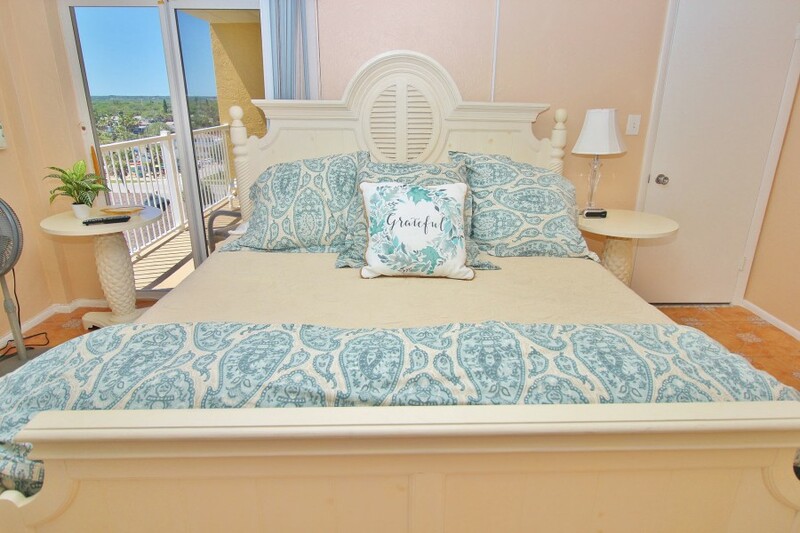 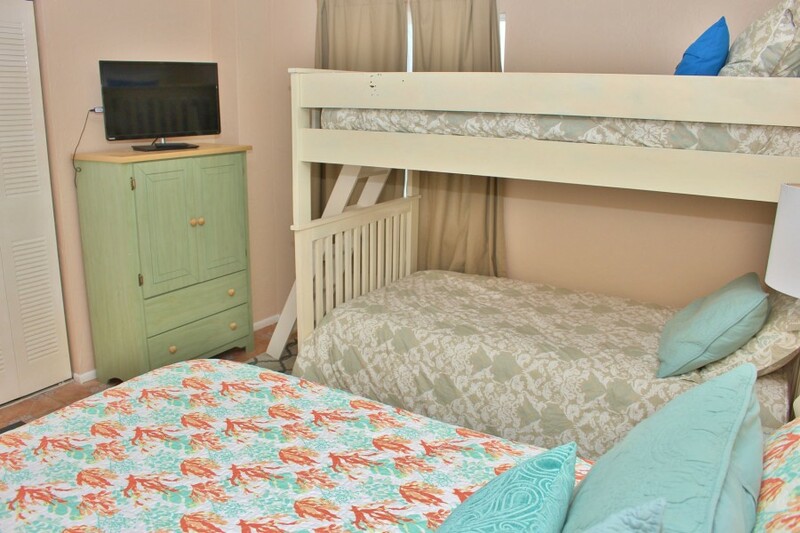 Sleeping arrangements are set for six and include a master bedroom with a king-size, poster bed, large dresser, flat-screen TV and views of the beach; as well as a guest bedroom that is perfect for families as it offers a queen size bed plus a twin bunk. 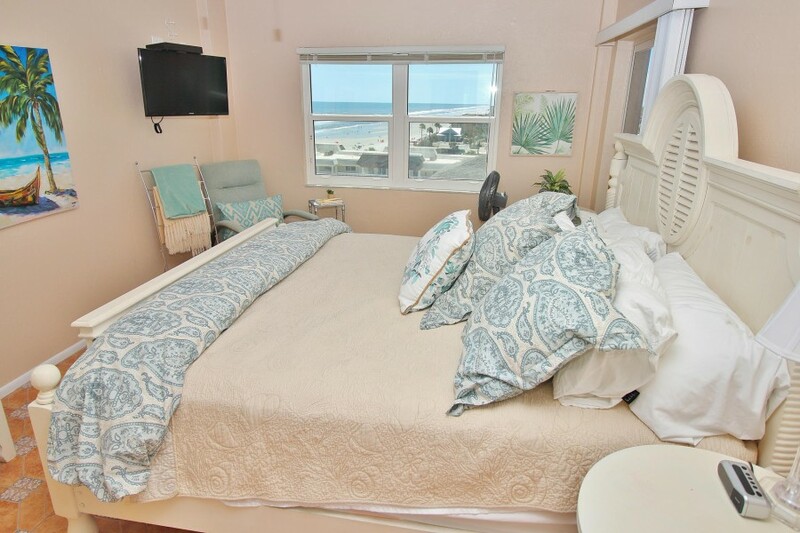 This bedroom also offers plenty of dresser space, a flat-screen TV and colorful bedding. 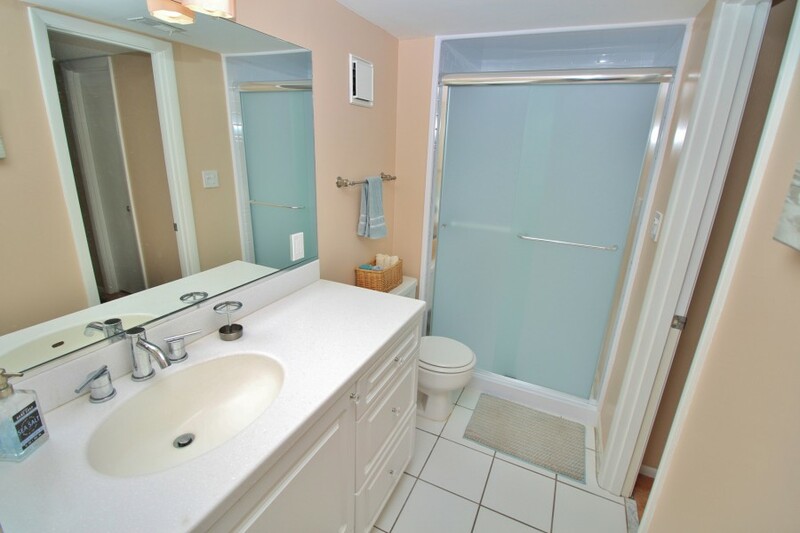 The cheerful master bath has a walk-in shower with glass enclosure, nice white vanity, large mirror and plush towels. 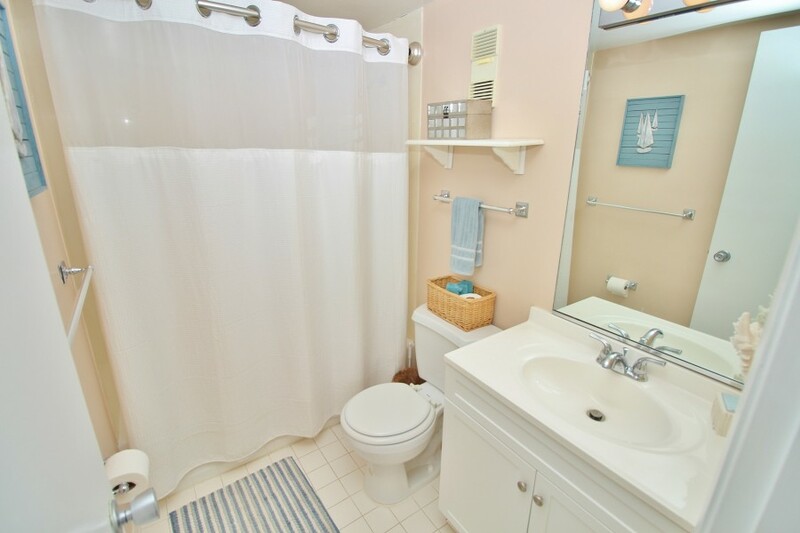 The guest bath has a standard size bathtub, shower, vanity and bath towels. 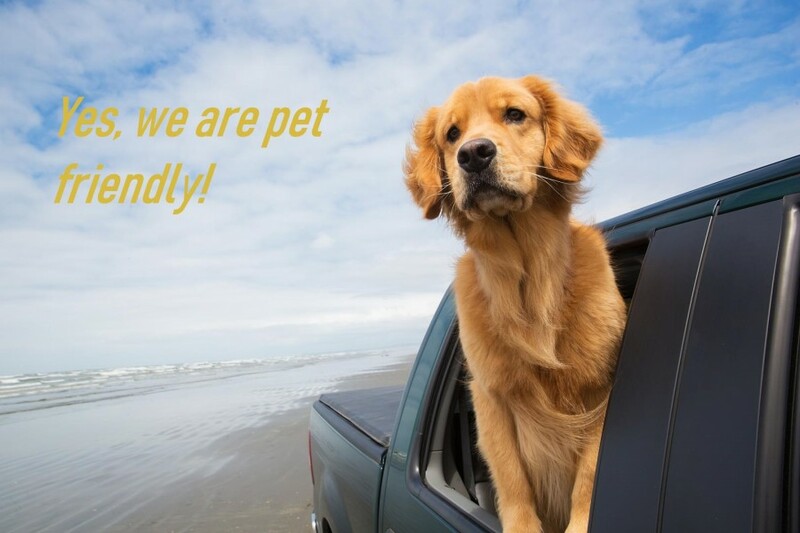 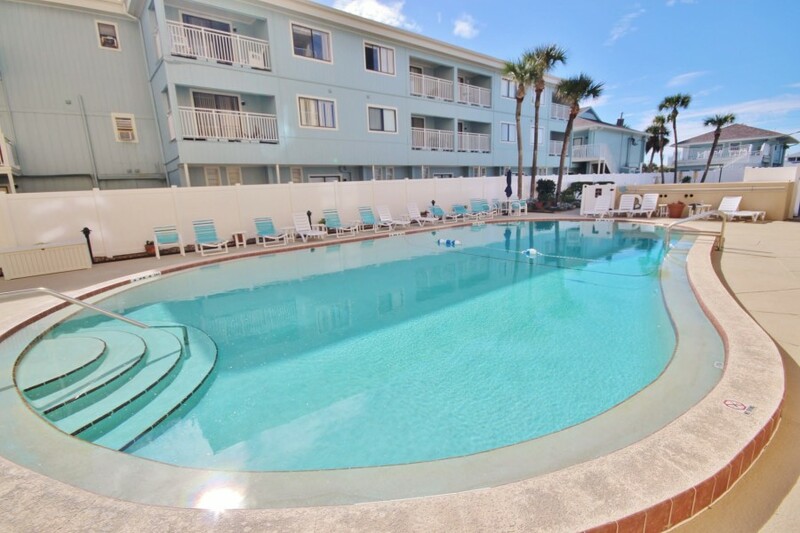 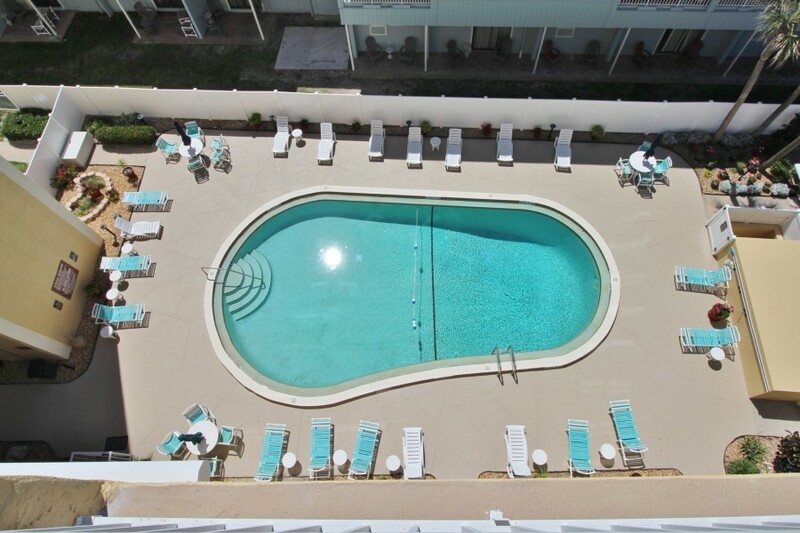 Additional amenities include free WIFI, beach towels, a place for fido and guaranteed fun! 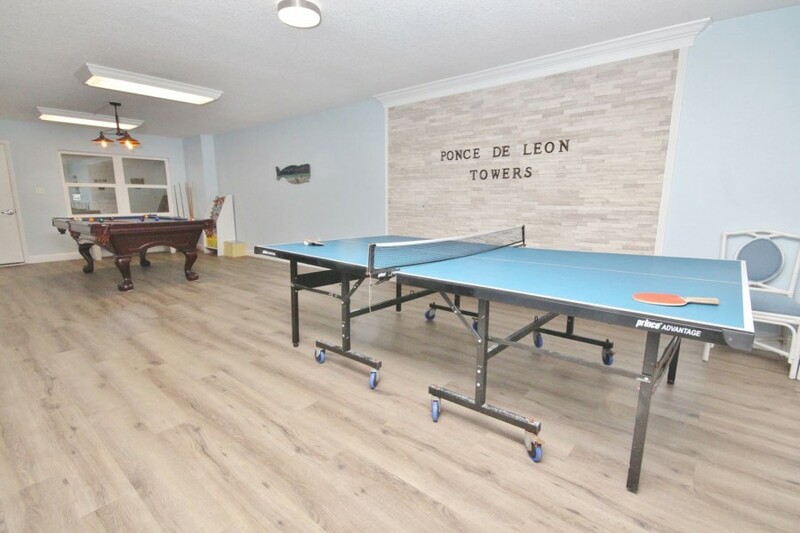 Ponce de Leon Towers, with eight floors of beautifully appointed two-bedroom, two-bathroom units, offers spectacular views of the Atlantic from their direct oceanfront balconies. 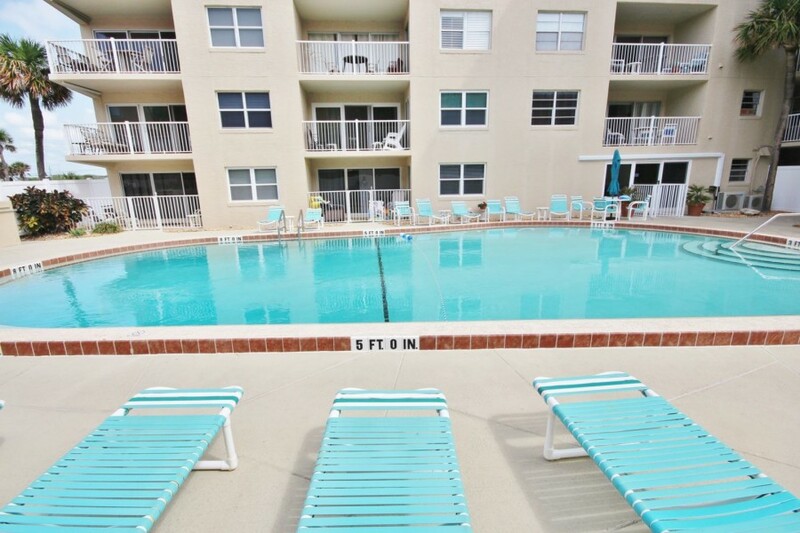 This complex is perfectly situated between the driving and non-driving section of New Smyrna Beach. 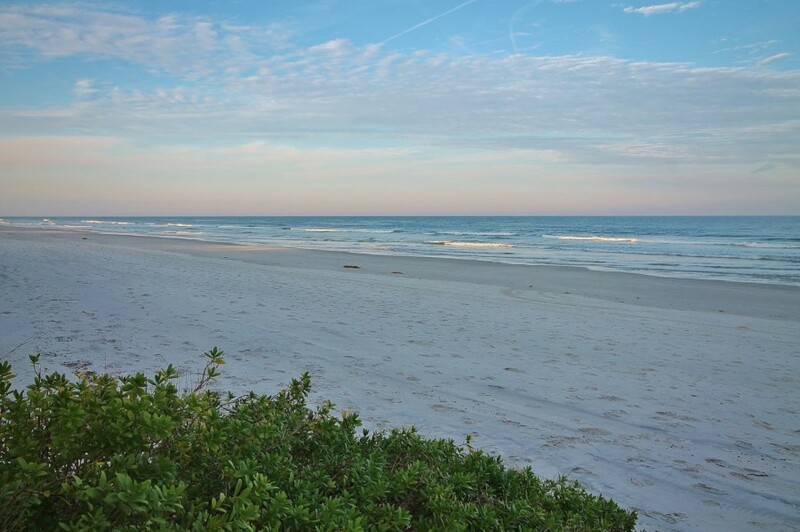 Choose to take a drive to the inlet and have your beach essentials close by or walk and find a more tranquil spot on the beach with miles of sandy shores to explore on foot. 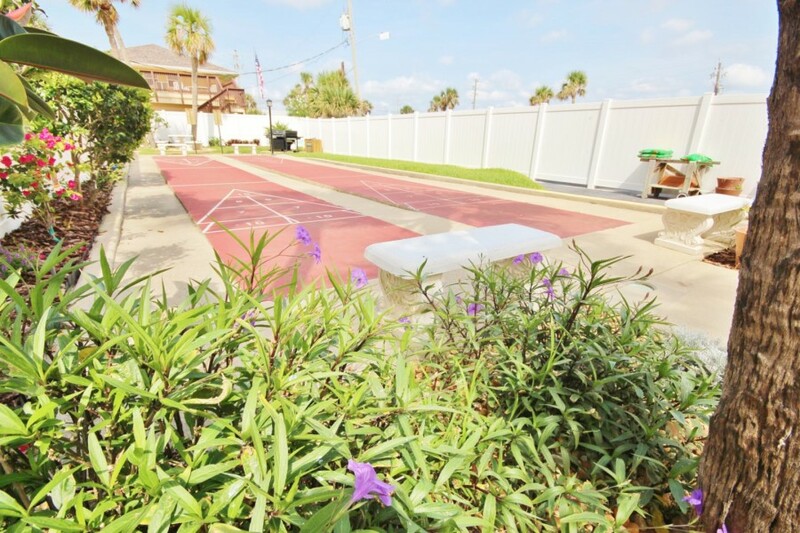 Other amenities include a private gated beach access, seasonally heated pool, shuffleboard courts, community room with a pool table and plenty of parking. 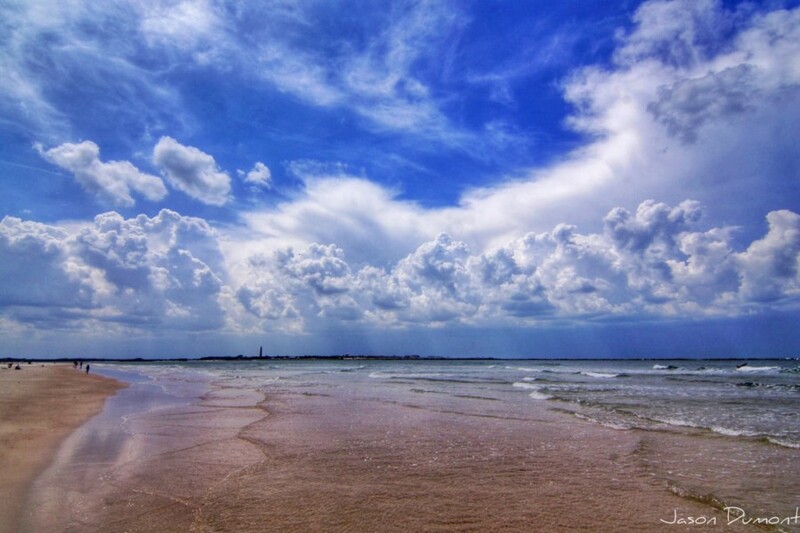 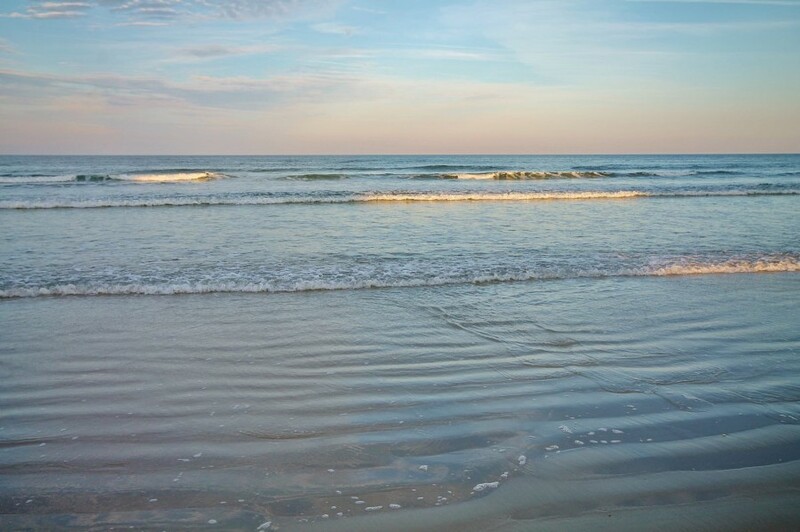 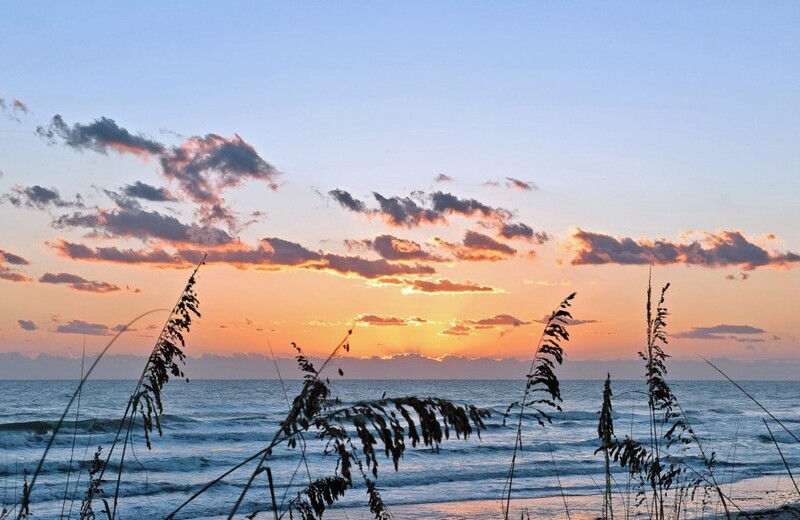 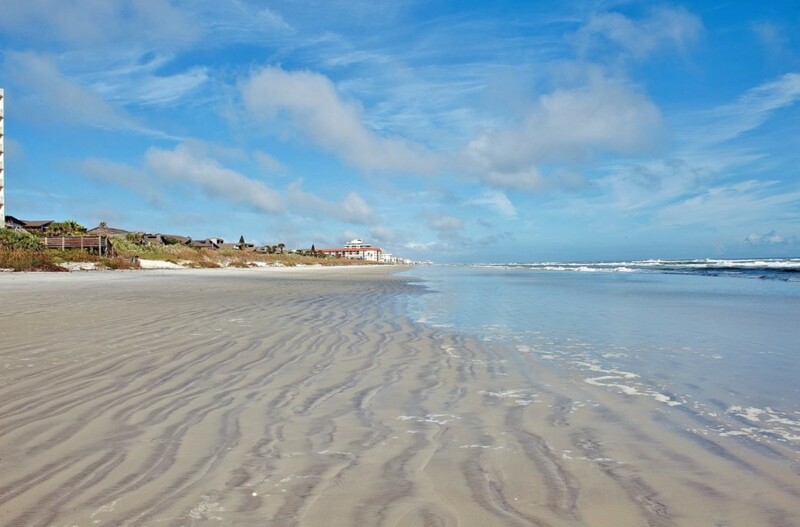 If you choose to venture away from the sandy beach, picture-perfect sunrises, and calming Atlantic breezes, you'll undoubtedly discover the small beach town ambiance of the historic town of New Smyrna. 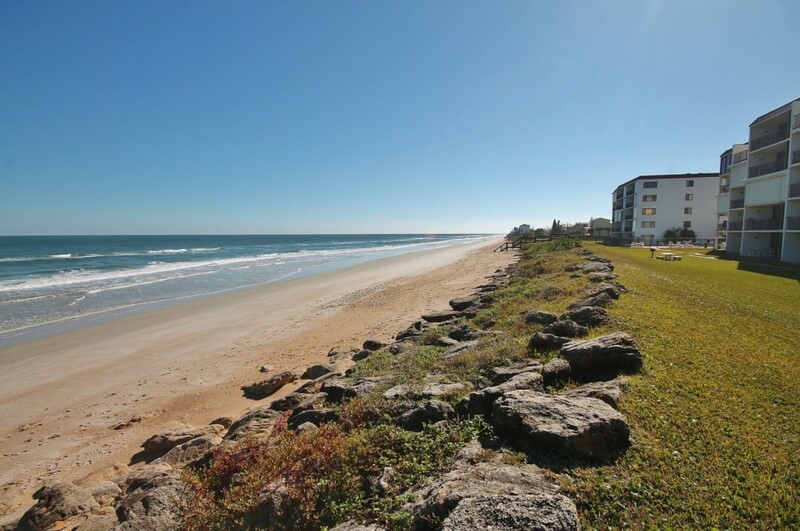 Neighborhood shops, local restaurants, and eclectic bars on the locally-famous Flagler Avenue is just minutes away from the property. 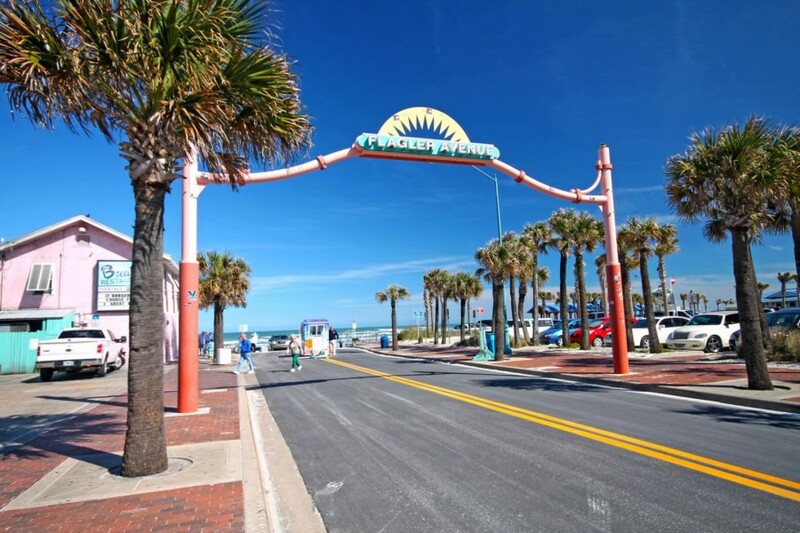 Over the bridge and a short drive from Ponce de Leon you will find downtown Canal Street shopping district which offers everything from outdoor sports equipment and clothing, to specialty home and beach-themed decorations. 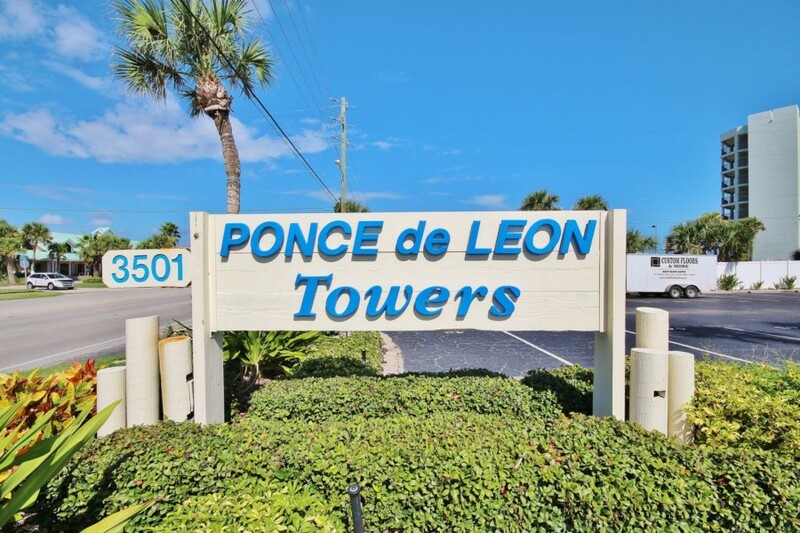 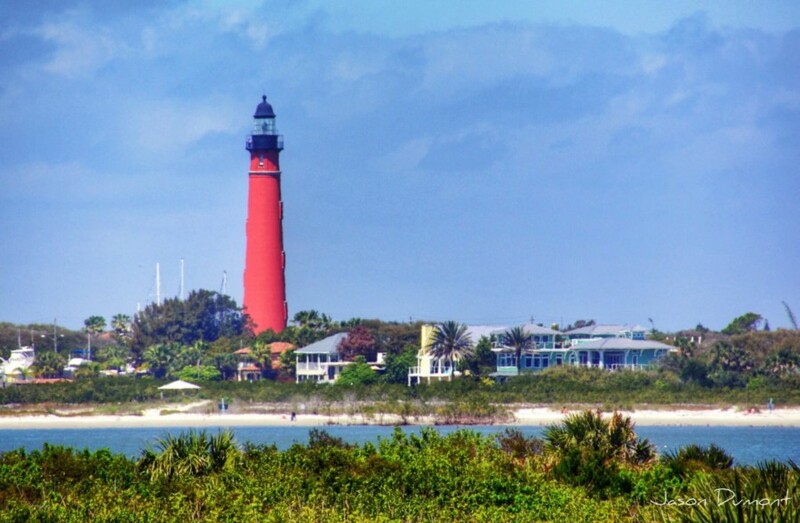 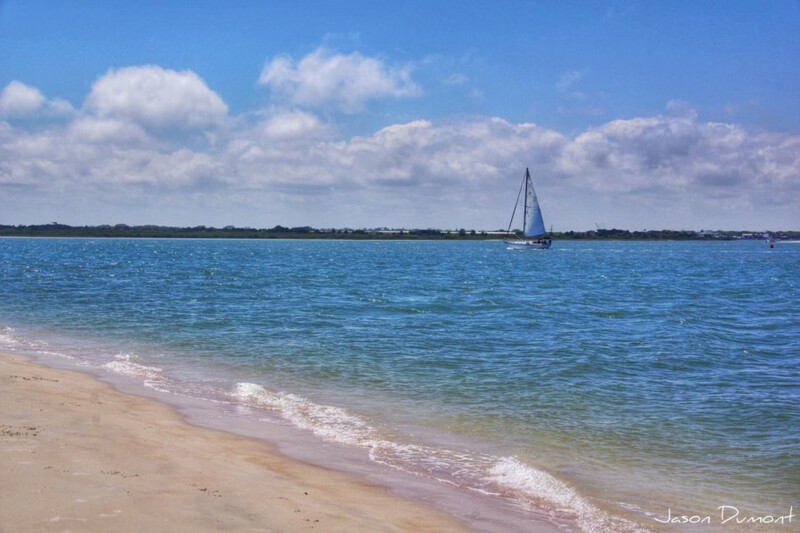 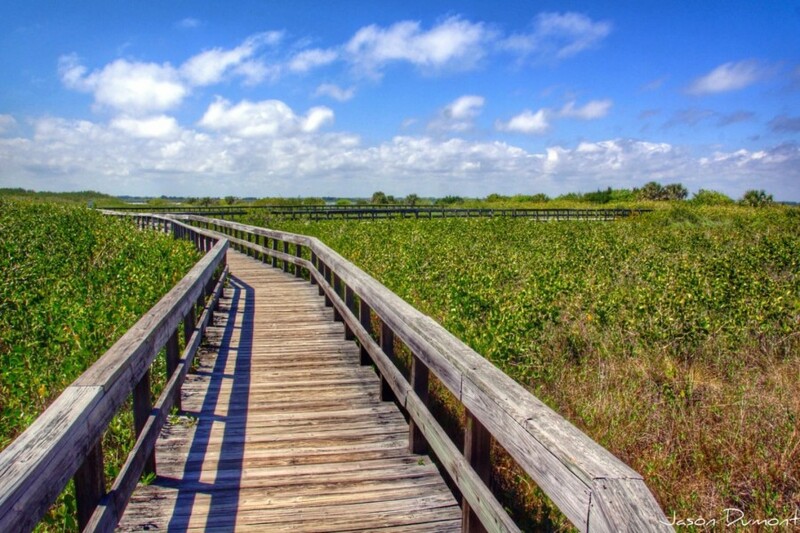 Ponce De Leon is only about 5 minutes from the beautiful Canaveral National Seashore, the perfect spot for outdoorsmen and boaters to launch their vessels for fishing trips or serene kayak cruises on Mosquito Lagoon.